José Sierra was born in Mérida, Venezuela in 1975. His work is exhibited throughout the country and is in many permanent and private collections. While José is a self-taught artist, he was introduced to ceramics at the University of the Andes in Mérida from 1993-1996, where he learned the basic skills of mixing clay and glazes, as well as wheel throwing. In 1996, José began working professionally as an artist in Mérida doing sculpture. In 2000, José moved to Iowa where he dedicated himself to both sculpture and pottery. José currently resides in Oregon where he is a studio potter. José Sierra writes the following about his art: "My past and present surroundings influence my work. The images and memories of coffee mills, intensely colored mountains, dramatic landscapes, pre-Colombian art and architecture of the Andean region of Venezuela all form an important part of my visual inspirations. These elements combine with contemporary design as well as the geometry of the Catalina Mountains to influence and inspire my work. The range of textures and colors of the Andes and Catalinas also inform my palette of glazes and engobes, which are achieved through high-firing in oxidation and reduction. 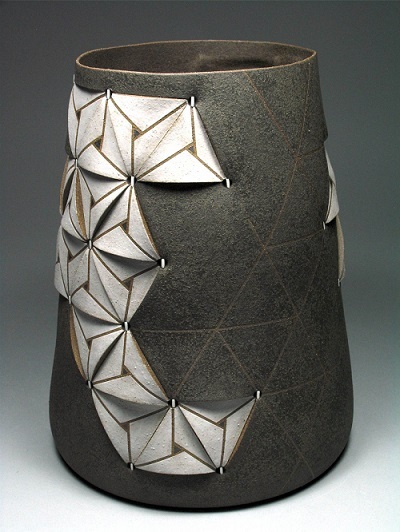 By altering wheel-thrown porcelain and stoneware, my work fuses organic and geometrical forms, in which I express both the fluidity and abruptness of the shapes and lines in the landscapes and architecture that surrounds me."